Darcy is faculty for our workshop, Self or Indie Publishing: Answering the Big Questions. Thanks, Darcy, for sharing your happiness with us today! As a self-published children’s book author, I sold 23,093 books in 2018. Other income came from “reads” on certain digital platforms and foreign rights sales. The modest income feels amazingly successful. Darcy Pattison holds the English and Korean versions of her book, THE NANTUCKET SEA MONSTER: A Fake News Story. I stand between bits of startling statistics. The Author’s Guild reports a 42% drastic declining in authors’ earnings in the last decade. A median income of only $6080 is depressing. On the other hand, Publisher’s Weekly reports over 1 million self-published titles in 2017. However, most titles sell fewer than 100 copies. The bright spot in the self-published world are those who have become millionaires in such wildly different fields as Joseph Alexander selling guitar lesson books and E.L. James selling erotica like 50 Shades of Grey. Some authors have translated successful self-published books into traditional deals which has taken them to even greater heights. But some still self-publish because they want to and they’re more successful that way. Are you bored with this talk of money? Good. Because it’s not just about the money. When I decided to self-publish it was because I was at a crossroad in my creative life. I’d sold about eight books over a decade or so to traditional publishers including Harpercollins, Harcourt, Philomel/Penguin, and Arbordale. After a couple years with no sales, though, I didn’t know what to do next. Nothing was hitting. I almost fell for that emotionally crushing line. 2018 was a good year for Mims House, my publishing company which only produces books that I write. 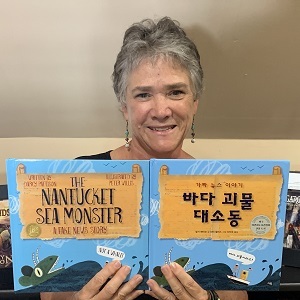 The Nantucket Sea Monster: A Fake News Story was named a 2018 National Council of Teachers of English Notable Children’s Book in Language Arts, was a Junior Library Guild selection, and was translated into Korean. Clang! Ernst Chladni’s Sound Experiments is a 2019 National Science Teachers Association Outstanding Science Trade Book. 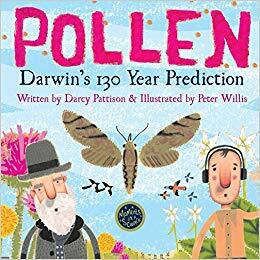 My May release, POLLEN: Darwin’s 130-Year Prediction is also a Junior Library Guild selection. Some people are taken aback that I’ve found success like this, but here’s what I know. If these books had been published by a traditional publisher (and likely, they would NOT have been accepted), they’d NEVER have been submitted for these awards. They would’ve failed because they were never given a chance. As a midlist author, my books wouldn’t have been considered the lead books of the season. In the overall mix of titles, they’d have been lost in the crowd. For me, deciding to self-publish was a way to avoid creative death. Either I took my own work seriously and brought it to market, or I retired. For this writer, the traditional publishing world smothered my joy and creativity. My opinions didn’t count; my projects were beneath notice; my stories were worthless. As every writer knows, if your stories are worthless, then YOU are worthless. Or as Scheherazade learned, if you don’t have a story to tell, you die. Instead, I started Mims House to fight that death sentence for my creative life. Writing that sounds melodramatic. And yet, I assure you that it felt that drastic. I worked hard the first couple years because I knew I was fighting for my creative life. I still fight vigorously for my creative life. It’s taken me five years to get to this position of modest income and that’s one of the most discouraging things about self-publishing. Like any other start-up business, you must toil in the beginning to get attention for your books. Most businesses in the U.S. fail in the first three years. To succeed, you need to find ways to sell books early and to build upon early successes. I was lucky enough to self-publish a timely education book about the Common Core education standards that funded some of my early work. In the last five years, I’ve learned to respect my own opinion again. A wise editor once told me that in this uncertain business, you live or die by your opinion. Certainly, I’ve had books that sell poorly. But I’ve also published books that I love which have found readers, who tell others about the stories, and the readership grows. Every day is challenging and fun as I problem-solve the question of how to write, edit, publish and market a great book. The answers to various publishing questions are as different as the process of working with a great illustrator on a project. First, I browse through myriads of portfolios to find something that fits my vision for a story. I must put together a brief that explains the project and expectations and negotiate a price that fits my budget. Then, I have to figure out how to write a reasonable contract, send it to the illustrator, and get it signed. Directing the project means setting deadlines, giving feedback on sketches and first images, and finally taking delivery of final art. That leads to layout and design of the actual book and production of the files needed to send to the printer. It’s a blend of technical, financial, legal, and creative answers. Self-publishing has actually expanded my creativity in ways I never expected. I now start with an idea, produce a finished book, and then make sure it finds its readers. The whole process is fascinating and absorbing. Self-publishing is a happy place for me because I’ve never been so creative. Expand YOUR creativity! 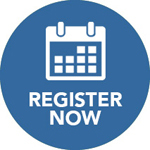 Join Darcy and guest editor Harold Underdown at Self or Indie Publishing: Answering the Big Questions.